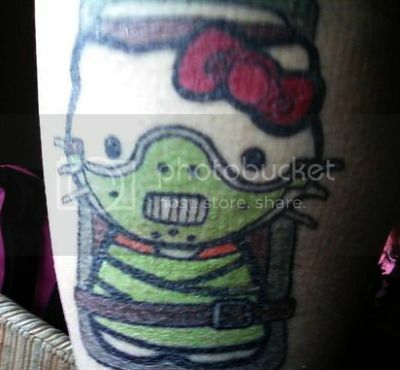 Strangely, Hannibal Lecter’s restraints only make Hello Kitty look 4% more sinister. It’s all in the eyes. Those cold, dead eyes. Via Ugliest Tattoos, who will tell anyone who’ll listen that fava beans and chianti don’t mix.